Western cinephiles first took note of Japanese filmmaker Akira Kurosawa in 1951 when Rashomon won the Golden Lion at the Venice Film Festival. In following years, Kurosawa would earn international accolades for films such as Ikiru (1952), Seven Samurai (1954), and Kagemusha (1980), and international distribution for all of the nineteen films he directed between 1951 and 1993. However, it is only in recent years that many Americans have had the opportunity to explore much of Kurosawa's pre-Rashomon oeuvre. Last year, the Criterion Collection released AK 100: 25 Films by Akira Kurosawa, a massive DVD box set providing a retrospective of the filmmaker's career from his first film in 1943 through his last fifty years later, including the four films now re-released in this current box set. But for consumers who already had many of the Criterion Collection's prior Kurosawa releases or who were otherwise unwilling to pay $399 for AK 100, this present release is surely welcomed. After serving five years as an assistant director and occasional screen writer, Kurosawa got his first opportunity to helm a film. Based on a contemporary novel by Tsuneo Tomita, Sanshiro Sagata is a martial arts/sports film set in 1882, just after the restoration of imperial rule in Japan and the beginning of Japan's rapid period of industrialization. 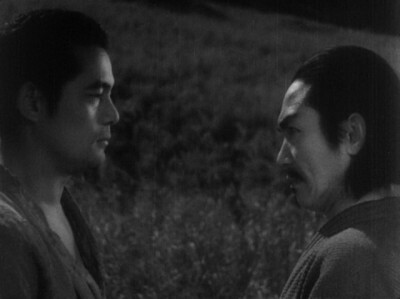 Like many of Kurosawa's films, most notably Red Beard (1965), Sanshiro Sugata concerns the professional and, more importantly, moral progress of its protagonist. The film opens with an ambush of judo master Shogoro Yano (Denjiro Ookouchi) by a rowdy group of jujitsu practitioners, with would-be student Sanshiro Sugata (Susumu Fujita) looking on. With little effort and no malice, Master Yano bests his attackers, after which an impressed Sugata begs to become Yano's student. Sugata proves to be an exceptionally strong and able student, but lacking in character. After being admonished by his teacher for living without reason, purpose, or humanity, Sugata discovers the inner fortitude and humanity to redirect his life. As he progresses, Sugata faces a series of jujitsu opponents who seek to best him, the two most notable of which are the venerable Master Hansuke Murai (Takashi Shimura), head of a local jujitsu dojo, and Gennosuke Higaki (Ryunosuke Tsukigata), an arch-rogue who wears western-style clothing. Sanshiro Sugata includes a chaste love storyline featuring actress Yikiko Todoroki who plays the daughter of Sugata's opponent Master Murai, and the object of affection for both Sugata and his nemesis Gennosuke Higaki, but it is the fight sequences that are most memorable. While the fight choreography is understated, the later two fights are dramatic for their staging which emphasizes the combatants state of mind and the physical environment of the bout, while largely de-emphasizing the physical contest itself. 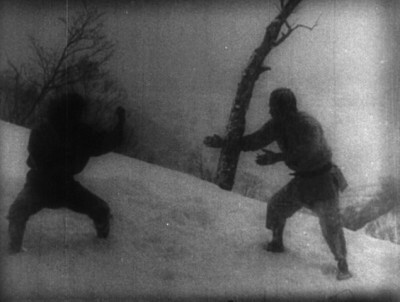 Sanshiro Sugata has a fairly unremarkable storyline, a modest budget, and is marred by significant edits by wartime censors, but it already exhibits some of Kurosawa's characteristic touches including dramatic camera movements and editing, variable camera speed, wipes from scene to scene, and extreme mood-driven weather. Though marred by heavy editing from Japan's wartime censors, and by less than pristine film elements, Sanshiro Sugata is a window on the formation of a master filmmaker. Following the success of Sanshiro Sugata, Kurosawa was encouraged to make a propaganda film to aid the war effort. 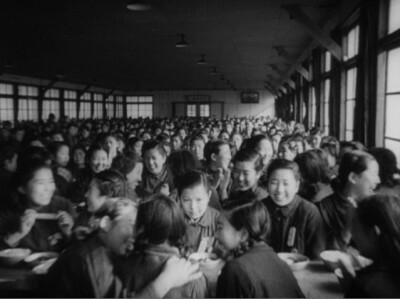 When hopes to make a film about navy fighter pilots fell through, Kurosawa undertook a film about all-volunteer female factory workers producing war materials. 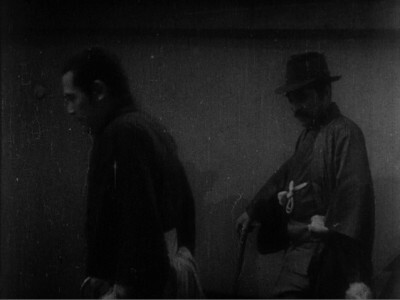 Shot on location at the Nippon Kogaku factory in a quasi-documentary style, Kurosawa attempted to maximize the sense of realism by having his cast apprentice at the factory and live in the factory dormitory. A simple message of collective self-sacrifice and of factory workers as vital to the war effort thematically drives The Most Beautiful. The plot concerns a drive by the factory to temporarily boost production by 100% for the male workforce and 50% for the segregated female workforce, whereupon the young women demand to have their quota increased by two-thirds. The film follows a rhythm of success and setbacks shown through discrete episodes but aggregated through a rising and falling productivity graph: an initial burst of enthusiasm is sapped by weariness, injuries, illnesses, and family emergencies, and boosted by a growing sense of fortitude, patriotism, and collective struggle among the young women. The final film in this set was made during the waning days of the war, but was not released until the first days of the allied occupation of Japan. This short film recounts an episode in the life of legendary twelfth-century feudal lord Minamoto no Yoshitsune (Tadayoshi Nishina). Fearing execution at the hands of his brother, Yoshitsune attempts to flee through a mountain pass to reach safety outside his brother's dominion, accompanied by a local guide (Kenichi Enomoto) and six loyal samurai, including the warrior monk Benkei (Denjiro Ookoochi). The pass is guarded by a large force loyal to Yoshitsune's brother so Yoshitsune and Benkei are compelled to use deception not brawn to make their escape. 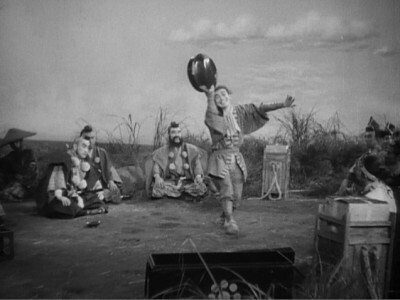 Filmed on a sound stage in the manner of Noh and kabuki theater, The Men Who Tread on the Tiger's Tail showcases tour de force performances from Denjiro Ookouchi and physical comedian Kenichi Enomoto. This set consists of four discs housed in separate slimline cases, enclosed in a single cardboard slipcover. These films are presented in their original aspect ratio of 1.33:1 without window-boxing. The first three films in the set suffer from print damage, poor contrast, flicker, missing frames and weak black levels. However, The Men Who Tread on the Tiger's Tail looks significantly better than the other three films evidencing only occasional print damage and good contrast. The first three films feature a 1.0 mono audio track directed to the center channel, while The Men Who Tread on the Tiger's Tail is 2.0 stereo. The audio tracks for the first three films all sound brittle and harsh with poor fidelity, prominent flutter, near-constant tape hiss, and frequent crackle. As with video, the audio for The Men Who Tread on the Tiger's Tail is much superior, though unremarkable as compared to average American films of comparable age. Optional English subtitles are provided. Apart from brief liner notes from film scholar Stephen Prince provided for each film, there are no extras on this release. None of the films in The First Films of Akira Kurosawa - Eclipse Series 23 constitutes a must-see masterpiece, but all show promise and are entertaining in their own right. Though the first three films in this set suffer from poor audio and visual quality, this bargain-priced set is recommended for Kurosawa fans.